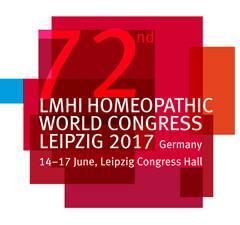 Leipzig offers best conditions for the Homeopathic World Medical Congress 2017 – for many reasons. The congress venue “Leipzig Congress Hall” (Kongresshalle Leipzig) is situated in the heart of the city, in the immediate vicinity of the famous Leipzig Zoo. And it is here in Leipzig, where Samuel Hahnemann began his medical university education in 1775. He returned in 1811 to open his medical practice and to give lectures at the Leipzig University. 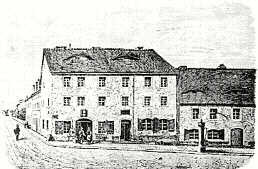 Ten years later, in 1821, Hahnemann left Leipzig to settle down in Köthen (Anhalt). The Hahnemann Monument in Leipzig, unveiled in 1851, has been restored and can still be visited today. Hahnemann travelled around Saxony for many years, staying in many different towns and villages for varying lengths of time, never living far from the River Elbe before finally moving to Paris in June 1835. 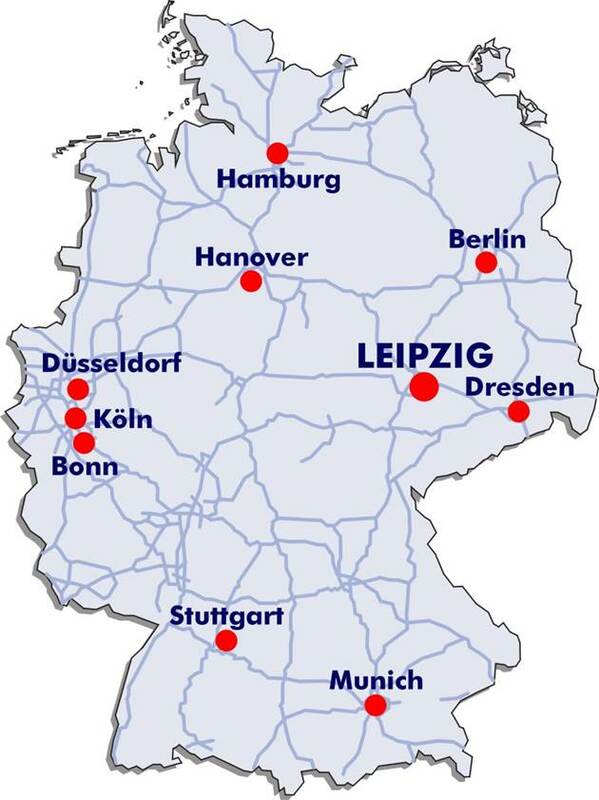 Therefore, Leipzig is the ideal starting point for excursions to other places where Hahnemann left his traces: Meissen, his birthblace; Torgau, where he wrote the “Organon of the Rational Art of Healing”; Köthen, where he lived from 1821-1835 and where the DZVhÄ was founded in 1829. Today, also the LMHI has its statutory seat in Köthen. Therefore, the governance meetings of the LMHI are planned to take place in the Hahnemann-House and in the European Library of Homeopathy. Under leipzigdetails.de you can book a variety of sightseeing tours such as a guided walk through the historical city centre, a visit of the New Town Hall, or a guided tour following the traces of the peaceful revolution. treffpunktleipzig.de offers a fantastic moonlight tour on Saturdays at 21.00 h. Meeting point is Richard-Wagner /corner of Goethe street. leipzig-erleben.com is the only provider of guided tours in English. Both English and German tours start at 13:30h, meeting point is the Leipzig Tourist Information. The bus tour (1.5 hours) and the guided city tour (1 hour) can be booked separately. You can listen to the Thomanerchor in St Thomas’ Church during the Motet (liturgical vesper service) on Fridays at 18.00 h, and on Saturdays at 15.00 h (normally accompanied with a Bach cantata performance). The famous church musician Sebastian Bach had been the cantor or the St Thomas’ Boys Choir for many years. It is worth coming early to get hold of one of the much sought-after seats. The Saint Nicholas city- and parish church was founded in about 1165. The church was situated at the intersection of two important north-south, east-west trade roads. It was dedicated to Nicholas, the medieval patron saint of merchants and wholesalers. Even today it is still situated amongst office buildings in the city centre with its doors open to visitors from all over the world. In the early eighties, the “peace decades” began, held each November. Young people came together for prayers over the course of ten days, while there were huge demonstrations in the Federal Republic of Germany against the armament race. Meetings and discussions concerning this burning issue were not possible publicly but only within churches. A young congregation in the eastern part of Leipzig decided to continue these peace prayers week after week, which eventually resulted in regular Monday evening prayers. So, it was here that the peaceful revolution of 1989, which lead to the fall of the Wall. was initiated. 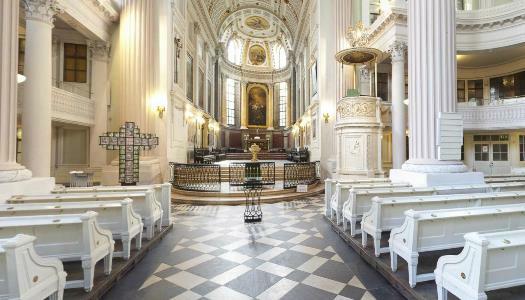 “Nikolaikirche – open to all” became reality in autumn 1989 – much to the surprise for many. After all, it united people from the whole of the former GDR: those who wanted to leave the country and those who were curious, regime critics and Stasi (State Security Police) personnel, church staff and SED members, Christians and Non-Christians beneath the outspread arms of the crucified and resurrected Jesus Christ. In view of the political reality between 1949 and 1989, this defies all imagination. It became reality. Exactly 450 years after the introduction of the Reformation in Leipzig, 176 years after the Battle of Nations in Leipzig. Now it was Leipzig once more. Leipzig’s Zoological Garden is located directly adjacent to the Congress Hall and is always worth a visit. Based on the innovative concept “Zoo of the Future” that was introduced almost 20 years ago the compounds provide animals with their natural and suitable surroundings. Still relatively new is the huge „Gondwanaland“, a tropical rainforest under a glass dome with free-flying birds, a squirrel monkeys island, tapirs, giant otters, and many other species. Visitors ought to bring plenty of time because you can spend an entire day in the zoo. Day tickets: Adults: 18.50 € (reduced 15.00 €); children 4-14 years: 11.00 €, Families: 47.00 €. The tallest building in Leipzig, visible from far away, is the City-Hochhaus with the logo of the public broadcaster MDR. It is nicknamed Uniriese (university giant) or Weisheitszahn (wisdom tooth). Designed in the shape of an open book, the tower was built between 1968 and 1972 and originally belonged to the University of Leipzig. An elevator ride to the top is doubly worthwhile: You can climb the three remaining floors to the viewing platform, or you can enjoy a fancy business lunch for 9.50 € overlooking the city. Access is only possible Monday-Friday between 11.30 to 14.00 h, an early reservation is recommendable (Tel 0049-341 710 0590). For nearly 40 years the Runde Ecke had been a threatening stronghold in the middle of the city. All conversation ceased when people passed this place. However, history will always be visible and tangible: During the Monday Demonstrations this building, located at the inner city-ring, became the target of the anger and outrage of the demonstrators. On the evening of 4 December 1989 Leipzig citizens occupied the building. In August 1990 the Monday demonstrators‘ demand “Runde Ecke – Schreckenshaus, wann wird ein Museum draus?“ (“Crooked Corner – horror house, when will it become a museum?”) became reality with the reopening of the permanent contemporary exhibition “Stasi – Power and Banality”. Guided tours (offered for 5 people or more) daily 15.00 h, 4 € for adults, reduced 3 €. The building is located at the inner city-ring and can be reached via the tram stops Goerdelerring, Thomaskirche and Gottschedstraße. The artist Yadegar Asisi painted his pictures specifically for the Panometer located in the South of Leipzig. The Panometer is a converted gasometer with a maximum diameter of 57 m. The Panometer pictures are, at a length of 105 m, the longest in the world and inspire the visitors with most diverse topics. In July 2017, at the time of the Homeopathic World Congress, the Titanic will be shown. You can reach the Panometer with several suburban trains (S-Bahn): Station MDR (10 minute walk) or bus line 70, station Altenburger Straße. Parallel to the LMHI Congress the annual Bachfest Leipzig (Leipzig Bach Festival) will take place – a special event for all Bach music-lovers. Johann Sebastian Bach worked as the cantor of the Thomanerchor from 1723 until his death in 1750. There will be a stage on the market square where you can listen to Bach music free of charge. The festival programme is available at http://www.bachfestleipzig.de/en/bachfest. Belantis is the largest amusement park in Eastern Germany and offers recreational fun for the entire family. In the “Huracan Roller Coaster” you will be accelerated to a speed of up to 85 km/h. It has five loopings and goes almost straight down in free fall from a height of 32 m.
Reachable with public transportation via the city-trains (S-Bahn) S3, S5, S5X to station S-Bahnhof Markkleeberg, then take the bus 118 to Belantis-Freizeitpark. The bus run on all opening days, twice in the morning and twice in the afternoon. In old ruins, excavated by students in the 1970s – among them the German Chancellor Angela Merkel – Europe’s largest student club is located within the inner city-circle next to the City-Hochhaus. The Moritzbastei also offers brunch and tasty snacks for in-between. The tour operator Bootstour-leipzig.de offers guided canoe trips. Leipzig is a city with many waterways and can therefore be explored fantastically also from the water. Whether it be a tour through the canals or to the Leipzig New Lakeland (Leipziger Neuseenplatte), for example Lake Cospuden (Cospudener See). Reservation necessary! But you can also explore the city’s waterways on your own. 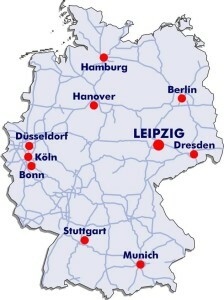 The starting point for such a tour is either the boat rental Bootsbau-herold.de or Bootstour-leipzig.de. The Museum of Fine Arts in Leipzig offers temporary exhibitions on different themes and artists as well as an extensive permanent collection. This makes it particularly attractive for visitors. Opening hours. Tuesday and Thursday-Sunday 10.00-18.00 h, Wednesday 12:00-20:00 h.
Admission: 10 €, reduced 7 €. The Leipziger Baumwollspinnerei (Leipzig Cotton Mill) used to be the largest cotton mill on the European continent. Today it represents contemporary art in unusual surroundings. Enjoy a one-hour guided tour through the 3 galleries and a workshop in the cotton mill. Fridays (between 12:00 and 16:00 h) and Saturdays (between 11:00 and 16:00 h) at every full hour. Meeting point: archiv massiv (House 20A). Reservations under 0049 341 498 0222 or via e-mail to archivmassiv@spinnerei.de are recommendable. Admission 11 €, reduced 8 €. You can also visit the galleries of the mill on your own. From 16-19 October 1813, Leipzig was the site of the Battle of the Nations (Völkerschlacht). The unified armed forces of Russia, Prussia, Austria and Sweden prevailed in a decisive victory over Napoleon and his allies on German soil. In the end, 600,000 soldiers from over twenty countries took part in the battle, 100,000 were killed or wounded, and a typhus epidemic broke out in Leipzig, killing 10% of the population. Exactly 100 years after the battle, in 1913, the Monument to the Battle of the Nations with a façade of granite porphyry from Beucha (near Leipzig) was dedicated as a national monument in honour of the fallen soldiers. The observation platform offers a phenomenal panorama view of Leipzig and the surrounding area. Dates and facts: 91 m high, 300,000 tons of weight, 15 years construction period. You can reach the monument with tramway line 15, direction Meusdorf, stop Völkerschlachtdenkmal. Thomaskirche (Thomas Church), Altes Rathaus (Old City Hall), Gewandhaus (Gewandhaus Concert Hall), Opera House, various shopping malls (Mädler Passage, Barthels Hof, Königshauspassage, Messehofpassage, Stentzler’s Hof, Strohsackpassage, Oelßner’s Hof, Speck’s Hof a.o. ), Bach Museum, Mendelsohn House. Mail: info@ltm-leipzig.de, here you get all further information.